The Parisian Metro is Europe’s best subway system and allows locals and visitors to go from one point to another one quickly and cheaply. Inaugurated in 1900 for the Paris World Fair, the centenary Metro of Paris has grown organically trying to adapt itself to the city’s new needs. 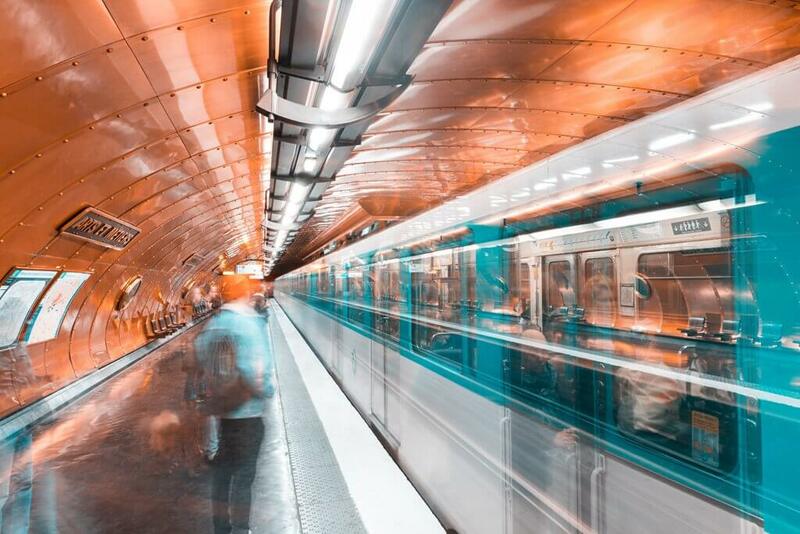 For this reason, the Paris Subway is a labyrinthine (sometimes chaotic) network of railroads, corridors, and metro stations, and it can be overwhelming for Paris first-time visitors. The good news is that with the right information, the Paris Metro system is relatively easy to use and it is a great way to discover Paris. 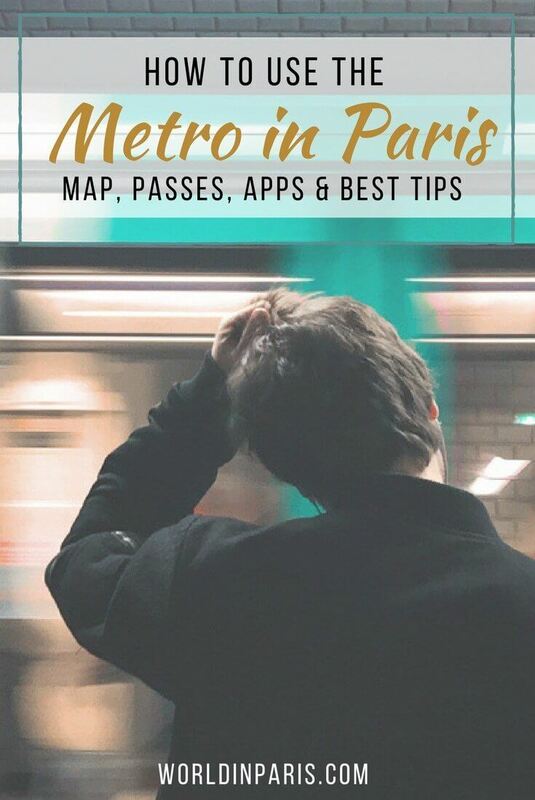 With this Paris by Metro Guide, we want to bring you all the information on the best Paris Metro tickets, Paris Metro passes, and our best tips on how to use the Paris Metro like a local. The Metro in Paris covers all the Arrondissements of Paris and some of the city’s surrounding suburbs. It is 220 km long and it goes underground most of the time. It has 16 lines, numbered from 1 to 14, plus line 3bis and line 7bis. The Parisian subway counts 302 metro stations, 62 of them with transfers between lines. To find your bearings, on each platform you have different Paris Metro maps. The most useful maps for you are le Plan du Métro (Map of Paris Underground), and le Plan du Quartier (Neighborhood Map). On the Paris Metro Map, you can see all the Paris Metro lines with their corresponding colors, the metro stations, and the connections between the lines. On the Neighborhood Map, you can see on a larger scale the streets of the neighborhood where the metro station is located and all the exits for that metro station. 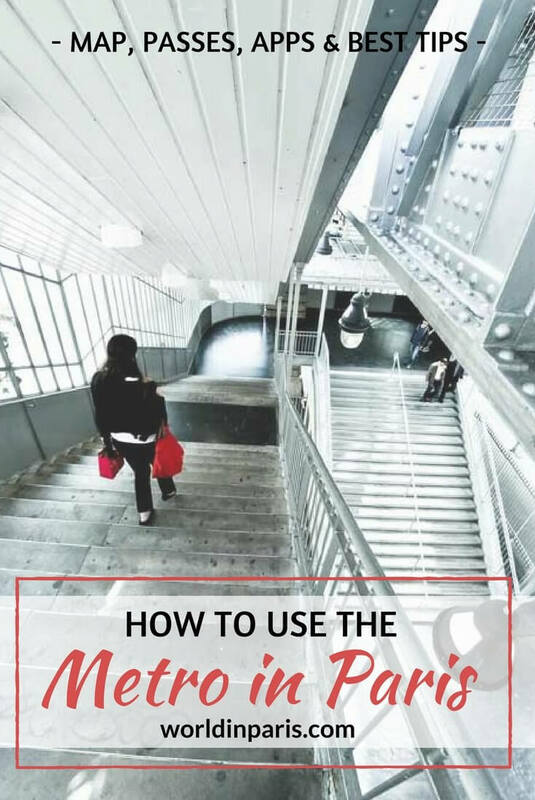 One single metro station can have multiple exits so if you are going to a specific address, have a look at this Plan du Quartier before leaving the metro and choose the exit closer to your destination point, it can save you lots of walking! A mini foldable map of Paris Underground is also available at the information kiosks located at the metro entrance and it is very handy. On it, you can see the Paris Metro Zone Map, all the metro lines, metro stations, and their connections. If you prefer to have the Paris Subway Map pdf 2019 on your mobile phone, you can download it here. PRO TIP: tired of taking the subway, knowing that you have to wait five minutes for the next train? Sometimes, it is faster to walk in the open air than to waste time in the basements of Paris! 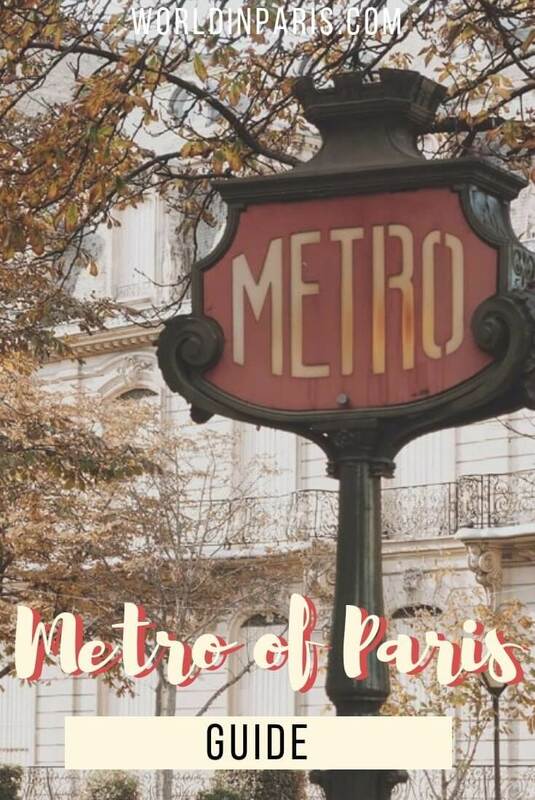 In this Paris Metro guide, we bring you the Alternative Paris Metro Map with the walking distances between stations. What are the Paris Metro hours? What time does the metro close in Paris? The Paris Metro Schedule depends on the day of the week. The Metro in Paris runs from 5.30 am to 1 am during the weekdays and from 5.30 am to 2 am on Friday, Saturday and bank holidays. If you are using the metro just for visiting Paris, we recommend avoiding the Paris Metro rush hour which is from Monday to Friday from 8 am to 10 am and from 5 pm to 8 pm. Traveling out of the Paris Metro rush hour means an easier journey and perhaps also a seat. If this looks complicated, don’t worry: the Paris Metro Map is also a Paris Metro Zone Map where you can see what’s included in each zone. » If you want to buy a day pass for traveling around Paris you just need to buy if tor zones 1-2. » If you want to buy a day pass for traveling around Paris AND Versailles, you need to take the option zones 1-4. Metro Paris tickets are also called T+ tickets. The Paris Metro tickets price is 1.90€ and you can use it for zones 1-2 only, for the next 90 minutes after validation. With these tickets Paris Metro, you can also travel by bus, tramway, RER (inside Paris) and on the funicular of Montmartre. T+ tickets are only valid for getting around Paris. To go from Paris to Versailles or to Fontainebleau it is necessary to purchase a Billet Ile de France, while a Billet Aéroport is the ticket used to travel to the Airports in Paris. Metro Paris tickets price usually changes every year. We always update this Paris Metro Guide when ticket prices change. 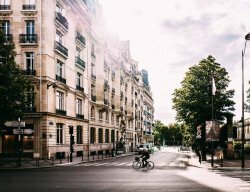 How to buy metro tickets in Paris? You can buy Metro Paris tickets at all the metro stations, only at the ticket vending machines. The kiosks located at the metro entrance usually don’t sell metro tickets. The Metro staff in the kiosks are there only to inform metro users and eventually help them if there is a problem. » A pack of 10 tickets (called “carnet de dix” in French) costs 14.90€, which means 1.45€ /ticket. » A pack of 10 tickets reduced price (“carnet de dix tarif réduit“ in French), is available for kids from 4 to 9 year old, and it costs 7.45€. There is no single ticket with a reduced price for kids. OUR TIP: Always keep your Metro Paris ticket until you leave the metro. Ticket controls are very frequent in the Paris Subway, especially at the beginning and at the end of the month. The Paris Navigo Pass is the most used pass by the locals. Paris Navigo allows unlimited rides with all the Paris and Ile de France public transportation (except Orly Val) during a day, a week, a month or a full year. 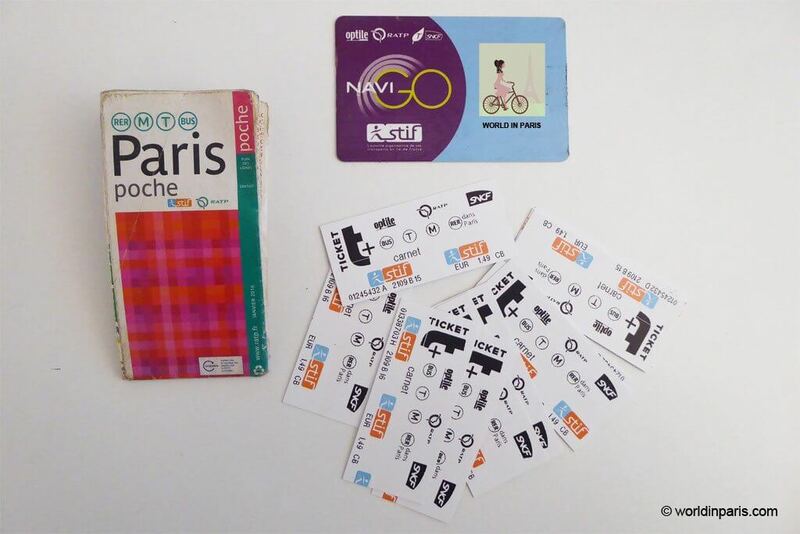 To get a Paris Navigo Pass first you need to purchase one of the two Paris Metro Cards available: Paris Navigo Personalisée or Paris Navigo Découverte. Once you get the card, charge it with the best Navigo Pass for you. » Paris Navigo Personalisée Card is available for Paris and Ile de France residents and it is free under presentation of proof of residence (e.g. an invoice with your address in Paris or Ile de France). You also need to bring a picture to get this card. » Paris Navigo Découverte Card is available for everybody (residents and non-residents) and it costs 5€. You also need to bring a picture to get this card. Gare Paris Saint Lazare, Gare du Nord, Gare de Lyon, Bibliothèque François Mitterrand, Gare de Montparnasse, Charles de Gaulle-Etoile Station, and Pereire-Levallois Station. Once you have the card, you can recharge it with your preferred option (day, week, month or year) in the ticket vending machines in any Paris Metro station. Did you know? If you speak French, sometimes you will hear in the metro about a certain Carte Orange (Orange Card). Carte Orange and Navigo Pass are the same things. Indeed, many years ago the Navigo Pass was orange, that’s why many people still refer to the Navigo Pass as Carte Orange. » The Navigo Daily Pass. It is valid for one day, from 12 am to 11.59 pm. You can buy this pass up to 6 days in advance, and it will start working after the first validation and until the end of the metro service that same day. The cost of this pass is 7,50€ (zones 1-2), 10€ (zones 1-3), 12,40€ (zones 1-4) and 17,80€ (zones 1-5). » The Navigo Weekly Pass is valid one week, from Monday to Sunday. You can buy the pass from Friday of the previous week until Thursday of the week when you want to use it. 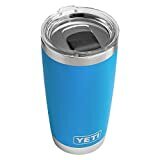 If you decide to buy it on Thursday, for example, it means that you will only use it for 4 days (Thursday, Friday, Saturday and Sunday). The cost of this pass is 22,80€ (all zones). “All zones” is the option to choose, even if you only want to travel around Paris. » The Navigo Monthly Pass is valid for one month, from the 1st of the month until the last day of the month. The cost of this pass is 75.20€ (all zones). “All zones” is the option to choose, even if you only want to travel around Paris. Paris Mobilis Ticket is an interesting Paris Metro day pass and the most popular ticket among tourists. The Paris Mobilis Ticket is valid for one day, from 0.00 to 24.00. The cost of this pass is 7,50€ (zones 1-2), 10€ (zones 1-3), 12,40€ (zones 1-4) and 17,80€ (zones 1-5). 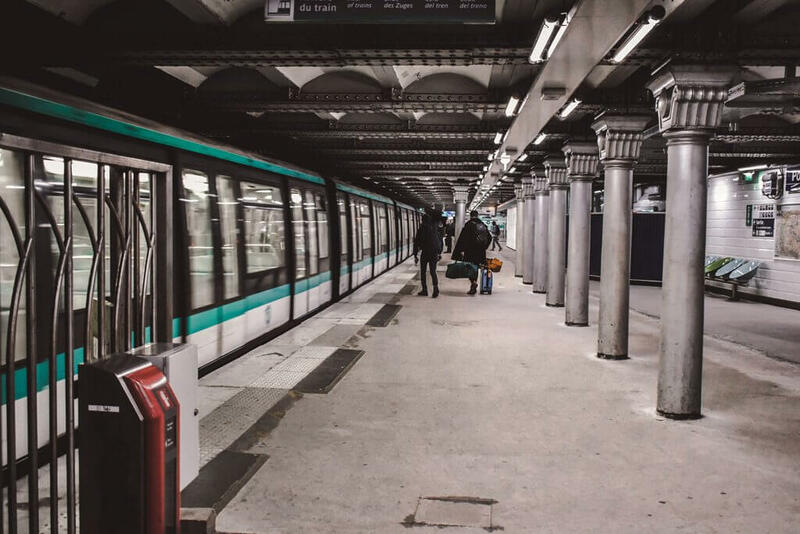 The main advantage of Paris Mobilis against the Paris Navigo Daily Pass is that Mobilis is sold as a magnetic ticket so travelers don’t need to buy any Paris Metro card. The Paris Visite Pass allows travelers to use all of the Paris transport networks during 1, 2, 3 or 5 consecutive days. 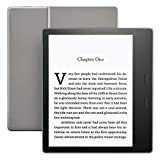 The pass allows people to travel anywhere in Paris (zones 1 to 3) OR in Paris plus the Île-de-France region (all zones, including airport connections, Orly Val, Disneyland Paris, and Château de Versailles). In addition, its holders get interesting discounts in some Paris Tourist sites and shows. You can check the full offer here. Paris Visite Pass is sold as a magnetic ticket. The ticket fares depend on the zones (1-3 or 1-5) and the number of days. Also, there is a special fare for kids. WE RECOMMEND: If you want to buy a pass only for transportation in Paris, possibly Paris Mobilis will be more convenient for you. There is nothing that interesting in zone 3 for a Paris first /second timers to get a pass up to it. Paris Metro Day Pass Anti-Pollution New! In the event of a pollution spike, the Parisian Metro proposes a 1-day Anti-pollution Pass with unlimited travel on all modes of transport (except Orly Val) throughout Ile-de-France. How to know when this special Paris Metro Pass is available? This information usually appears on the screens of all metro stations just before the metro automatic tripods. The Weekend travel pass for youth is a one-day travel pass limited to young people under the age of 26. It can be used only on Saturdays, Sundays and bank holidays from 12 am to 11.59 pm and for the zones of your choice. This pass costs 4.10€ for zones 1-3 and 8.95€ for zones 1-5. Paris City Pass is not exactly a Paris transport pass, that’s why we wanted to keep it apart from the other Metro Passes. Paris City Pass is like a magic wand for Paris. This fantastic Paris Tourist Pass includes a 1-way transfer from the Airport to the city center, a Skip the Line Louvre Ticket, a Skip the Line Ticket for Montparnasse Tower, a cruise on the River Seine and a 3 days metro card for exploring the City of Light. If this was not enough, the Paris City Pass proposes also 20% discount on top museums, attractions, tours and excursions (we counted more than 50 proposals on the list! ), like tickets and tours for Versailles Palace, Paris guided tours, Paris Catacombs skip the line tickets, tickets for the best Cabarets in Paris and much more. Paris City Pass does not have a time limit of days like other city passes. 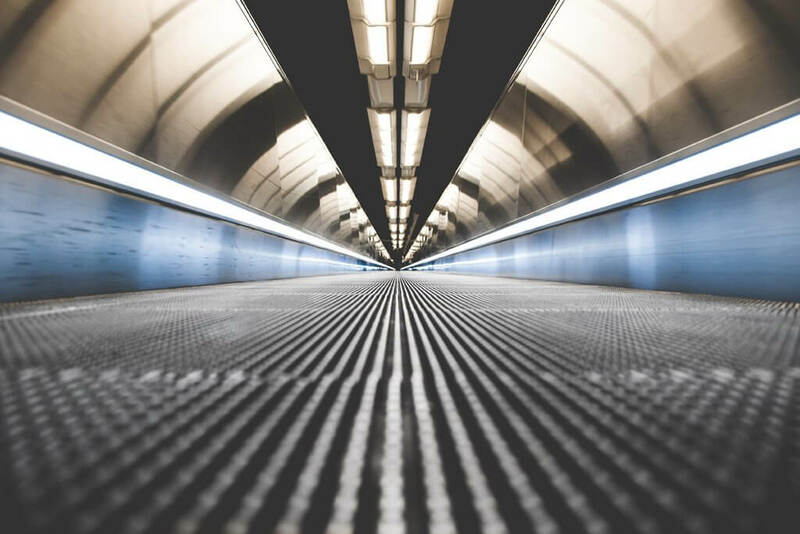 This allows users to visit the museums and attractions when they want and at their own pace. Only the metro card is valid for 3 consecutive days. After booking your Paris City Pass online, you will receive your pass by email which avoids you the hassle of finding the pickup place of your pass in a city that you don’t know. This means that you can use your pass as soon as you land in Paris! 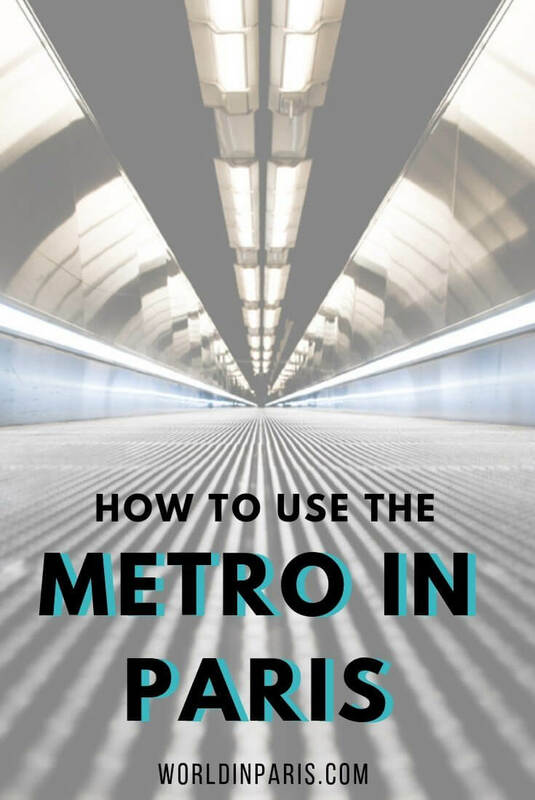 The best way to navigate Paris by Metro is to download a Paris Metro App on your phone. We use the RATP’s free app Next Stop Paris, available for Android and iPhone. This Paris Metro App is like a Paris Metro route planner. The app has the map of Paris Underground and its Paris Metro Trip Planner function calculates the best itinerary from A to B for you. Thanks to its geo-location function, it also shows you the closest metro station to your position. Each metro line has a specific color and a number. The panels on the metro walls and the electronic panels on the platforms show the line number and the direction (first station – last station). For example, if you take Line 2, you will see panels with Line #2 Porte Dauphine and Line #2 Nation. Exits are called SORTIE, and a single metro station can have more than one. To choose the right exit, have a look at the Neighbourhood Map, look for your destination, and take the closest exit to your destination. Metro stations close to a tourist sight always include a brown panel with a sketch drawing of that specific tourist sight. Follow the panel. Unless it is really necessary, avoid big and crazy metro hubs like Châtelet, Montparnasse or Gare de Lyon. These stations can have up to 15 different platforms and it might take a good 10 minutes to navigate from one line to the other. We don’t suggest stopping at Châtelet, the direction panels are placed so bad that we always end up turning around the same 2-3 pillars. The only explanation for us is that the panels guy who placed all those panels drunk a little bit too much that day! Check that your metro station is working New! 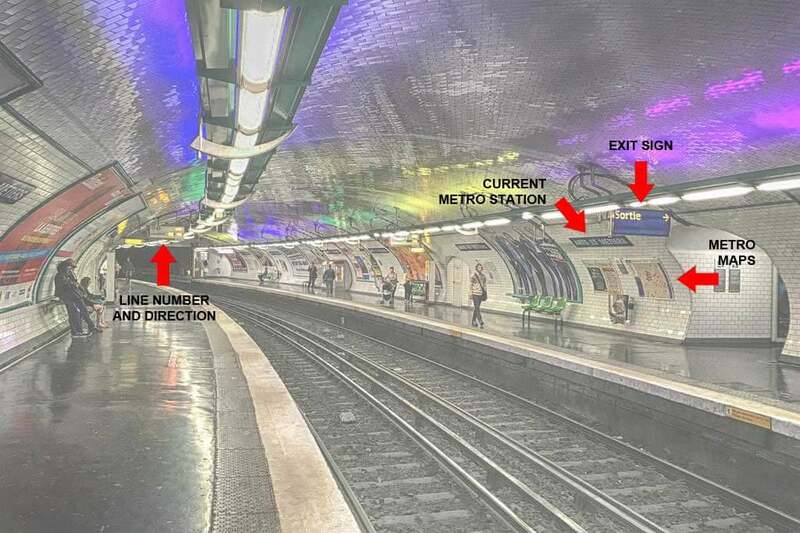 Currently, the Metro of Paris is under huge renovation works to adapt the metro stations to people with disabilities. This means that some metro stations are closed to passengers for a certain period of time and the trains do no stop there. For example, the Parisian Metro just closed Line 11’s terminus in Châtelet (our line!!) until 16th December 2019 so if we want to head to Châtelet to go to the cinema we need to find an alternative itinerary. You can check if the closest metro station to your hotel is open or closed for works on the RATP website. » Smoking signs in the metro are not pieces of art but bans. » Mind your hygiene. Please, mind your hygiene! » Assist elderly passengers or pregnant women with their bags and let them your seat if they don’t have one. » Let passengers leave the train before stepping on it. 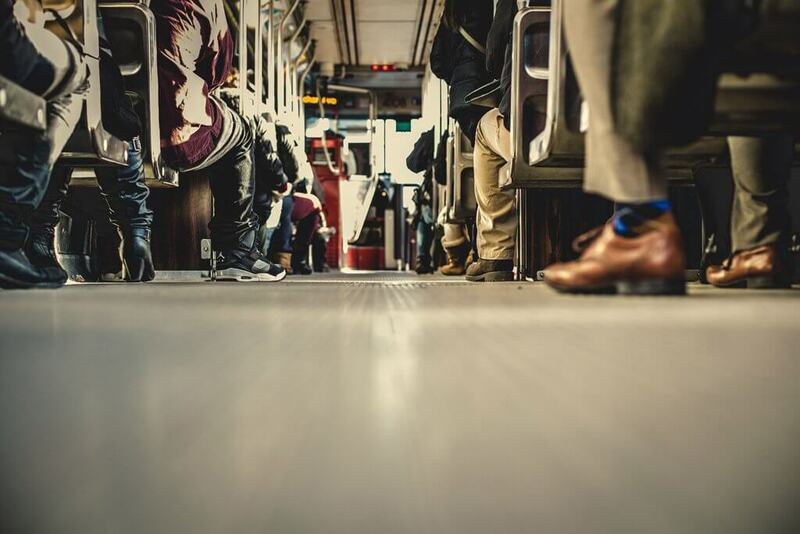 » Avoid folding down seats when the metro is full. This is a HUGE passenger “faux-pas”, not appreciated by commuters (and they won’t hesitate to tell it to you clearly until you stand up). When using the metro in Paris, check the information monitors with the status of all metro lines before taking the first train. If there is an issue with your metro line, you can look for a plan B by checking the Paris Metro Map. » “Colis suspect” or “bagage abandonné”: abandoned bag or luggage, the traffic is interrupted until the police arrive and check the bag. » “Panne de signalisation”: there is a technical problem like cable theft of, degradation of a rail or failure in the electrical system. » “Incident d’exploitation” = it can mean many things. It can come from both infrastructure (referral problems) and external elements like alarm signal or people on the tracks. » “Incident voyageur” or “malaise voyageur”: a traveler is considered to be “sick or ill” if he suffers from heart problems, fainting or simply hot shots. The metro driver must go to check his condition so the train stops. 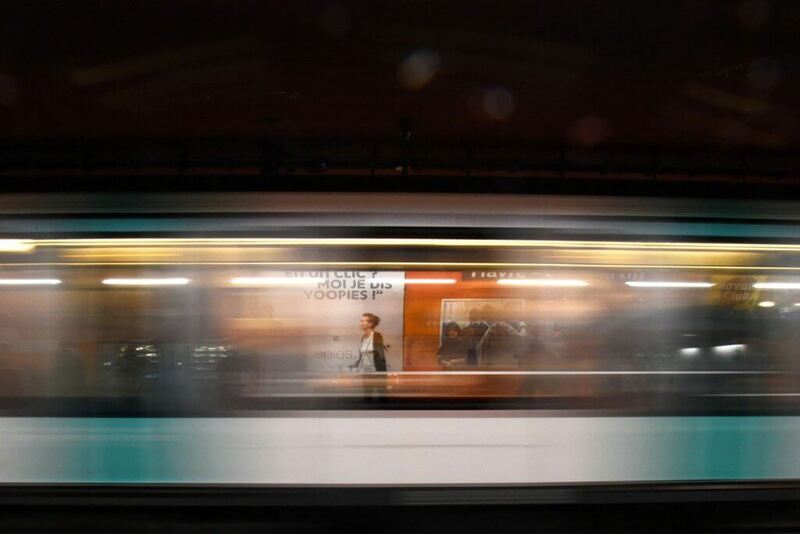 » “En raison d’incident divers”, le trafic est perturbé, voir arrêté”: one of the worst messages that you can hear in the Metro in Paris because it means that many things are happening at the same time. Start thinking about a plan B. » “Incident grave voyageur”: this is the worst message that you can hear in the metro, most of the times it means that there was a suicide somewhere along the line and the train has to stop. Leave the train and look for a plan B. Unfortunately, pickpockets are common in the Paris Underground, especially along line 9, with stops like Trocadero or Champs Elysées. Be careful not only inside the trains or platforms because thieves also like busy mechanical stairs, especially when they are going upstairs: they place themselves right after you, one step below you, which is the perfect position to open your backpack. How to avoid pickpockets in the Parisian Metro? » Try to stay as awake and aware as you can, especially in the most touristy areas. » Don’t show valuable belongings like expensive cameras around your neck, fancy mobile phones or big jewels. 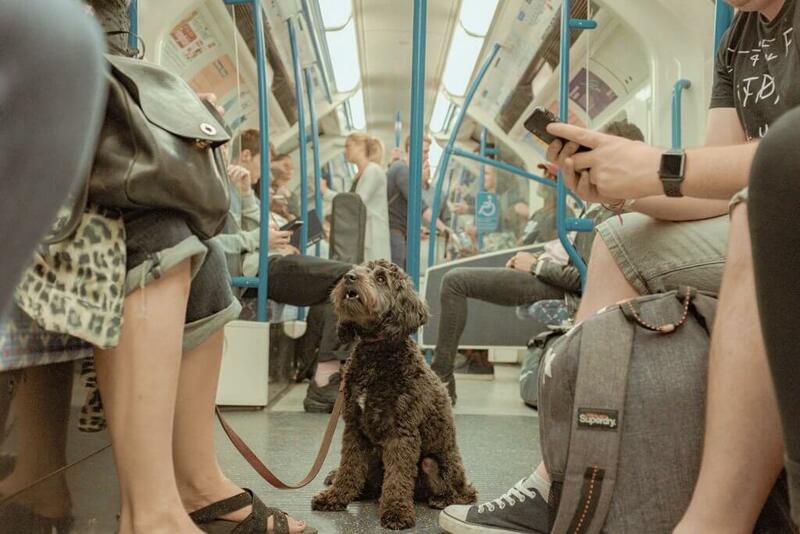 » Since you enter the metro and until you go again up to the surface, keep your backpack in front of you. » If anyone spills anything on you, just refuse their help. If you were walking, keep walking. Are you meeting other people in the city? 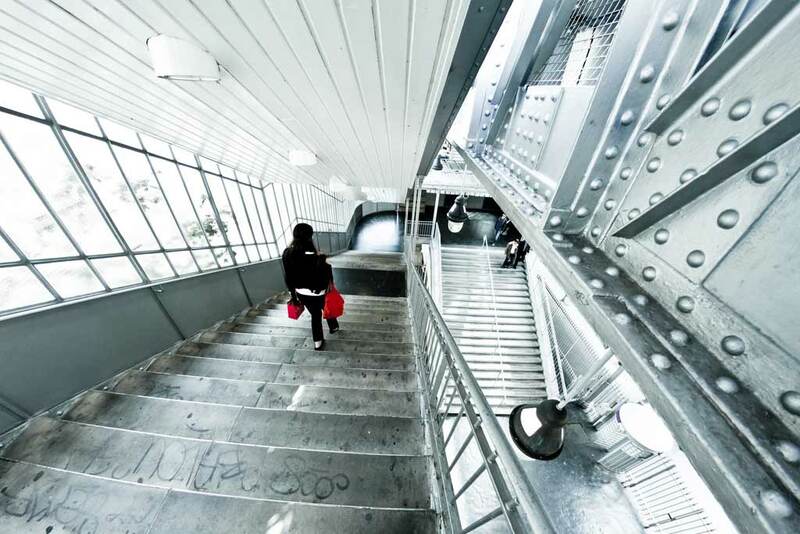 In Paris, it is common to meet our friends at the exit of a specific metro station. But what happens when a metro station has many different exists? To avoid confusions, we always meet at exit #1. Le Metro de Paris, the second oldest metro in the world only after London, has an interesting history and beautiful metro stations. Read the informative panels (in French) to learn about its history and some curious anecdotes. Also, if you have some extra time, visit the most beautiful metro stations, you can read about our favorite metro stations in Paris here. Paris-ci la Sortie du Metro is a cool Paris Metro apps that allow you to save between 5-10 minutes in the metro. How do they work? The Parisian Subway has platforms with an average length of 80m which means up to four minutes walk from one side to the opposite side during rush hour. On these two apps you introduce the line that you take, the station where you intend to stop and the direction you want to take, it can be an exit or a connection. The app then tells you which is the best position on the train (back – middle or front) to travel to reduce the walking time along the platform. This is probably our longest post on this blog but we hope that you liked it! If you find it helpful, don’t hesitate to share it with your friends traveling to Paris. 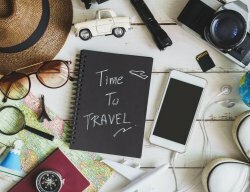 For someone who is planning to go to Paris, this post is spot on and hits the right nail, answering all possible questions, any traveller can come across during their Paris trip. The whole, validation the ticket, was something new for me, as the Delhi Metro, India, has a token system, or a card which is scanned every time you pass through the gates. I remember the first time I used the Paris metro system as a first time visitor is was pretty intimidating to figure out! But easy to get the hang of quite quickly 🙂 A fabulous tip on avoiding during rush hour, and planning your activities each day accordingly. I think I actually still have a couple of those T+ tickets left which I kept as souvenirs from trips years back and put into scrapbooks – I probably still have a few free metro trips lol! This is such a handy guide. Truly helpful for some one planning to tour Paris. This is so useful! The prices there are definitely high, but cheaper than I thought they would be. I also liked to read about the metro etiquette. I’ve heard before that thieves are a big concern in Paris. I’m curious how far they will go to get a camera or phone off a tourist, not that I ever like to forward the dangerous parts of traveling. A very informative article! I’ve been visiting Paris for nearly 20 years, and my favourite ticket type is the Carnet de dix – so easy and versatile. I always tend to find unused tickets in my pockets on my return! We are taking our dog to Paris for the first time, so we have bought him a muzzle and we will buy him dog tickets so that he can ride the metro too! I wish I had come across a post like this before our trip to Paris (which was 4 years ago). I remember we were at one of the train stations, with a large metro map, trying to find our way around the city, figuring out how to buy the tickets, which metro to take etc and we did not find too many helpful people either. Most did not speak English and others did not even want to stop and help (unfortunately). These tips would’ve been very handy then! Especially the metro jargon you have shared, we began to understood it eventually ourselves but it took some time to get there. Paris City Pass looks like a great option for the tourists in Paris city. Thank you for a great guide to Paris local transportation system. Bookmarking this for the time when I visit the city. Great to help you with the metro passes! This goes straight to my travel bookmarks! A very informative and useful article, I loved the pdf map, so one can use it also abroad when you don’t have data on your phone! Thank you very much!